Sometimes you may feel like swimming in cold weather or undertaking other activities like scuba diving or snorkeling. In such times, you will need a wetsuit to ensure that you have an amazing experience so that you can take some amazing memories and snorkeling pictures. While shopping for a dive suit, you will find wetsuit brands that are specific to either men or women while others are unisex. Overall, you need to consider a few factors that define a good wetsuit, including its thickness, material used, the design, and other unique features. Using the user reviews, ratings, price, and product quality as our selection criteria, we were able to come up with the wetsuit brands below as the best in the market. You, therefore, can rely on this article to make an informed buying decision. Wetsuits are usually designed with either a back or a chest zipper. They both help create a wider opening so you can easily wear the wetsuit and get out of it. The back zipper features a long cord so you can easily zip it up. Although it is much easier to put on with a back zipper, you should know that natural flexing might be difficult in comparison to using a chest zipper. Furthermore, if the back zipper is not well secured, you may end up with water down your back while you are under the cold water. A chest zipper may be difficult to put on because you need to pull the wet suit up your body, but it is more convenient for water sports. This is because it provides added protection against the cold water. Flatlock Stitches: This is used on wetsuits designed for waters that are warmer than 62° Fahrenheit. It will lie against your body to keep you warm even though some water is likely to find its way in. Seals: The seals are used on wetsuits that will go into waters that are 55° Fahrenheit or warmer. They are usually accompanied by stitch panels that are glued before they are blind stitched. The latter feature means that each stitch comes out the same side it was sewed from. Since it will not go through the fabric, the no holes will be left behind. This renders it as airtight as possible to prevent the entry of water. Seals and tape: If the wetsuit comes with sealed and taped seams, then you can comfortably use it in water that is 55° Fahrenheit or colder. Taping enhances the durability of the seams since they are reinforced, thus limiting water seepage to your skin. This means that before you can embark on a water sporting activity, you should know the temperatures of the water. This way, you will be able to identify the best wetsuit to buy depending on your needs. Wetsuits come in varying styles and the one you go for will depend on the conditions in which you will be in. If you are going scuba diving in cold water, then you should get a full body wetsuit that covers most of your body. The following is an approximate temperature to wetsuit thickness guide. As you get into colder waters, wetsuit water temperature may not be appropriate as a semi dry wetsuit or drysuit may be more suitable to wear. The thickness of the wetsuit determines how warm it will be. The thicker the fabric used to make the wetsuit the warmer you will be which will make your wetsuit temperature warmer. 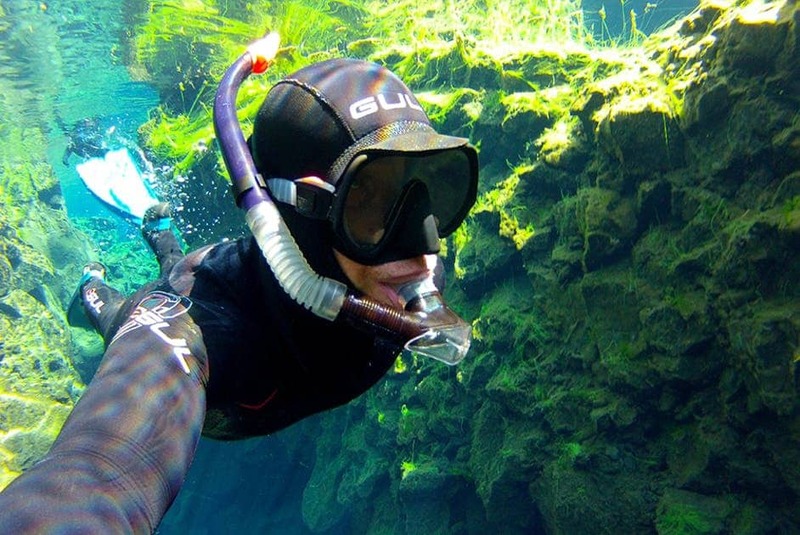 If you are looking for more comfort, you must be willing to spend more on your scuba suit. Prior to the purchase of a diving suit, you should take time and research the temperature ranges of water versus the recommended diving suit thickness for such conditions. Once you have this information and you know the temperatures of the water, then you can easily pick the insulated wetsuit brand that best satisfies your needs. The thickness ranges from 0.5 mm to wetsuits of 7mm. The warmest wetsuit will typcially be thicker,, which insulates your body better. How does a Wetsuit work? Watch the below video to get a detailed explanation on how most wetsuit manufacturers make their wetsuits. So what do scuba diving suits do besides keep you warm? Prior to the purchasing, you should take time to understand how it works and what you will be getting. You should know that neoprene is the material mostly used in the making of wetsuits for cold water. This is because this fabric is the best if you are looking for flexibility, durability, water resistance, and insulation. Neoprene is known to contain multiple nitrogen bubbles integrated into it for insulation against the cold. Although some scuba suits feature multiple layers, some are designed to be single-layered so that their level of warm insulation varies. As water finds its way against your skin, the neoprene will help your body to heat up this cold water, thus keeping you warm. This cold weather wetsuit is made using premium quality nylon 2 neoprene, which makes it durable and super flexible. In fact, it provides about 75 percent more stretch as compared to the standard wetsuit making materials. The seams are GBS-glued and blind stitched so the suit stays strong and is highly durable. These factors help the Henderson Thermoprene become the best wetsuits for cold water. The neoprene used is 5mm thick, which means that it is warm and breathable at the same time. This is made even better by the limestone based poly-chloroprene used that enhances the quality of the fabric. This means that you can readily adjust the collar so the wetsuit fits you properly. It provides a contoured fit so that your body is always protected from the water. The suit is designed with a 10-YKK back zipper that further features a zipper tab leash so that self-donning and doffing is easy. O’Neill might just be the leading manufacturer of cold water wetsuits in the market today. It is the perfect wetsuit brand because its design is value driven. It is highly versatile since you can use it to surf, dive, paddling sports, lake activities, a visit to the beach etc. It features a back zip system that gives you an easy entry and exit in the wetsuit. It comes with a watertight seal so your body is not all wet as you go about your activity. This wetsuit is made with krypto knee padz for added safety while underwater. It is also able to keep water away from your body, thanks to the blind stitched and triple glued (GBS) seams. The ultra-stretch neoprene used to make this wetsuit renders it ultra-soft so you have a superior feel while wearing it. Furthermore, this premium material is highly flexible so your performance will be amazing while in the water. It has wind-resistant fluidflex firewall panels that provides you with added insulation from the cold. The glued seams should be of better quality to avoid tears while wearing. The Dark Lightning Premium CR Neoprene Wetsuit is a fantastic cold water diving suit. This Unisex wetsuit is one of the best for cold water diving as well as other water sports such as kayaking, paddle boarding and surfing. It comes in 3/2mm and 5/4mm that you can choose from based on your body size and water temperatures you go diving in. It comes with a long back zipper strap so you can put it on and take it off simply. The materials used in making this wetsuit are neoprene (SCR) and lycra, which keep your body warm while improving your ability to float in the water. This brand is available in specific fitting designs for both genders. When you first try the wetsuit, you should know that it might be a bit too tight but will fit you perfectly once you are in the water. The manufacturer provides 100 percent satisfaction guarantee and gives a 30-day unconditional refund. We recommend that you go for a big size if you are strongly built and tall. This wetsuit is also very versatile since you can use it for multiple water sports like scuba diving, surfing etc. It is unisex and can be used for multi-water sports. Comes with UPF 50+ for skin protection from the sun and reduced risk of jellyfish bites. Its sizes might be a bit off since it is too tight even when wearing a size up. This hooded wetsuit is made of neoprene for people who desire durability and flexibility. It acts in ways that are similar to semi dry wetsuits in that it is a full hooded wetsuit. The Hyperflex is definetly a cold water diving wetsuit for those who want to spend more time diving in cold water. It is further infused with an atomic foam made of air cells to create a warm insulation for added comfort while in the water. The weight and thickness of the wetsuit remains the same as other brands though. It is made of premium workmanship and an AQ6 thermal fabric is used for its softness and thin fibers that give a warm feeling, comfort while wearing, and the ability to dry up fast. The seams of this wetsuit are GBS-double-glued and blind-stitched with a single-needle so there are no holes left to allow the passage of water. It is designed with a cocoon entry point alongside a closure system that creates a wider opening that makes it easy for you to wear it and get out of it. It is also able to seal out all the water using an anti-flush head gusset panel. This wetsuit comes with high-quality fusion weld sealed seams, a feature that is achieved using a liquid sealant that creates molecular bonds for the prevention of water exchange between your body and the surrounding. The seams included are capable of enhancing the extra strength and durability of the fabric. Has GBS seams -double-glued and blind-stitched using a single-needle for water resistance. Has super strong seam intersections with heat-applied reinforcement tabs for durability. Some users are worried that it may not be true to size. This Billabong wetsuit has become a favorite of many since it is rated for water 50 percent and above. The 100 percent stretch premium AX2 superflex neoprene gives the jumpsuit the desired flexibility for easy maneuvering in the water. The neoprene is also soft so you can wear it for the longest time and still be comfortable. The seams of this wetsuit have been sealed and tapped for added strength and durability. This renders the wetsuit water resistant and super comfortable. It is extra warm so you can stay comfortable even in the coldest water. You can wear the hood on your back even though it is not removable, something that is a concern for some users. You can use this wetsuit for multiple water sports due to its versatility. Comes with a chest zipper to give you a wide opening for easier in and out. It has super flexible fabric and design. It has a superior quality for greater value. It is breathable, warm, and comfortable. Its sale is limited to the U.S users. Of the five wetsuits for cold water discussed above, Henderson Thermoprene 5mm Men’s Jumpsuit ought is our roundup winner. This is because it is 5mm thick and it has durable freedom-flex knee pads, spine-warming pads, and Lycra trimmed cuffs. This means that it is designed specifically for use in cold waters. It is also easy to get into. This is because although it has a back zipper, its design makes it super flexible.